WHAT CAN WE DO FOR YOU (BESIDES SAVE YOU MONEY)? Laundry. Our business - our only business - is professional laundry service. We are the cleanest, best laundry service in the area. (This is our second laundry). We professionally wash and dry laundry items in our large, commercial laundry equipment, then fold and package them. 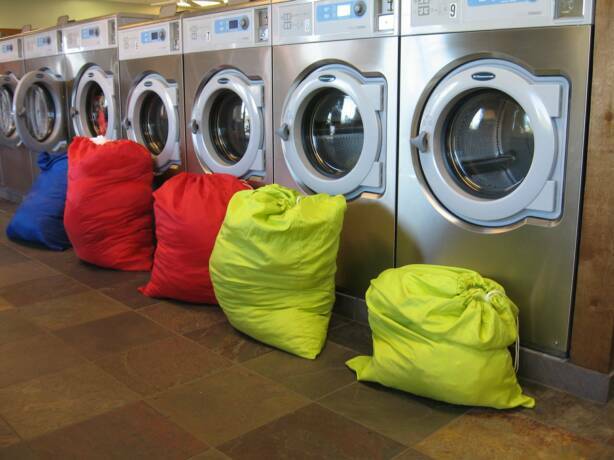 During the past 15 years we have washed over 100,000 loads of clothes for our customers. Now we would like you to try our service. 1) Don’t spend your time doing laundry. 2) Pay employees to work, not do laundry. 3) Don’t buy, pay to repair, or waste space on a washer & dryer. 4) Don’t buy soap/ bleach/softener for laundry. 5) Don’t pay for water/electric or gas for laundry. Let us take care of all the laundry needs of your business. We can do your laundry for less than you could do it yourself. We provide an affordable service for all your laundry needs – items such as sheets, towels, blankets, uniforms - anything washable! People judge a business by how clean everything appears – and we can launder these items better than anyone. Items brought in will normally be ready for pick up the next day. Same day service is available at an increased cost. All services are available 7 days a week. Special schedules and pick up/delivery service can be arranged as needed. We would be happy to review this service with you, personalize it to your needs, and set up a laundry service unique for your business. Please contact us via the e-mail listed on this web site. We look forward to working with you.